It was a night that began with low expectations of a definitive result but that ended in a shock victory for David Cameron's Conservatives. 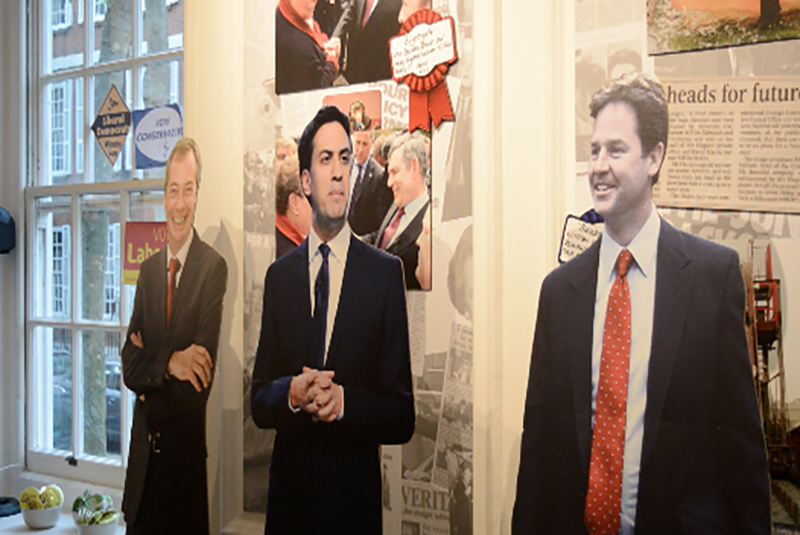 A packed election night party, hosted by the Ellwood Atfield Gallery and Ketchum, saw guests pick coloured cocktails to declare their allegiance to one party among the new smorgasbord of multi-party politics, all under the watchful gaze of cardboard cut-outs of the party leaders. 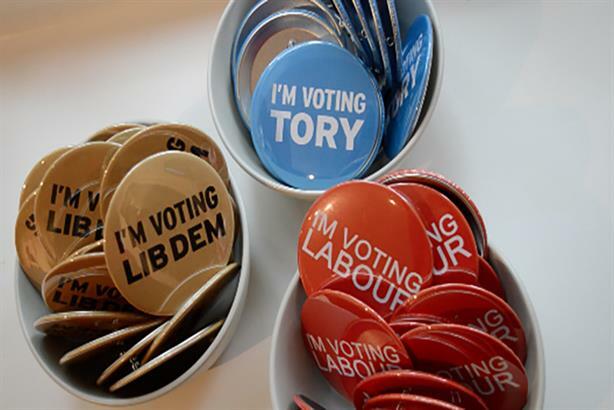 Others wore badges declaring their intentions, with some plastered in badges to indicate their expectations of a coalition. One guest could not stand being watched over by Nigel Farage any longer and turned his cut-out to face the wall. It was Nicola Sturgeon's SNP that ran the best campaign during the general election, according to the public affairs professionals who spoke to PRWeek last night. The early consensus was that the campaigns staged by the major parties had been bland and flat and had failed to move the needle of public opinion in any significant direction. Little did they know that a ‘shy Conservative’ electorate was about to confound many of their expectations. Nick Deluca, chairman of Open Road, said: "I'm amazed that they have all failed, possibly with the exception of Nicola Sturgeon, to inspire anyone and that the polls are in exactly the same place as they were four months ago." The eyes of other industry professionals, such as Nicola Bates, head of public affairs recruitment at Ellwood Afield, were also drawn to Sturgeon’s campaign. She said: "She’s gone out. She’s spoken to the people. She’s been human and she’s a formidable Scottish woman. She’s really owned the agenda." Later in the night, at an election party hosted by PRWeek and the PRCA at Shepherd’s in Westminster, it was standing room only for as many as 650 guests over the course of the evening – around the same number who were due to be returned to Parliament. The atmosphere was sweaty and expectant and the bar ran dry of beer to serve to the numerous young Turks of the political comms world, although Champagne was still in good supply. More cardboard cut-outs of the party leaders watched over proceedings, but Farage was more popular at this party with many guests taking selfies with the UKIP leader, perhaps making him the most popular two-dimensional character in British politics. Speaking at the party Gill Morris, chief executive of Connect Communications, said all the parties had failed to run an effective campaign and she wondered who would have predicted that Sturgeon would be the "poster girl" for Scotland. Fellow guest Michael Burrell, a consultant and former chair of the APPC, thought it was Ed Miliband who defied low expectations. He said: "He exceeded expectations and he gained in confidence throughout the campaign." But he agreed that Sturgeon’s performance in the first debate had put the SNP "on the road to a very successful result". Burrell said the comedy campaign moment for him was Cameron’s visit to a school. "The little girl with her head on her desk looked bored out of her mind," he said. Opinions varied on the biggest gaffe of the campaign, with some pointing the finger at Miliband while others took aim at Farage or the Conservatives. Deluca said Michael Fallon’s personal attack on Ed Miliband was the low point in the campaign and that it "highlighted the threshold" for negative campaigning with the public. He added: "Private polling for all parties showed that women in particular reacted very badly to that. Even Tory women thought it was mean." There was widespread mockery of Miliband’s tablet of stone pledges, with its echoes of Spinal Tap. Deluca said he had "never seen a stunt like it" in nearly five decades of being involved in elections, while Bates said she had rarely seen anything "more idiotic". Even Labour supporter Morris said: "Maybe the tablet of stone ‘Moses’ thing was not a great PR idea." Nigel Farage was also criticised for attacking the audience during the second television debate. Bates said: "He had a really bad campaign all the way through but the point at which someone starts criticising the audience is when you know they’ve just lost it." Among the professionals interviewed by PRWeek, there was consensus for the point of view that a slim majority would be a boost for the public affairs industry. Deluca added: "I’m not sure a small majority is good for the country but it will be good for the industry because it will mean a lot of business." Morris agreed, adding: "Uncertainty is marvellous for public affairs. Our clients will be wondering what’s going on and it’s our job show how we can influence the government." Bates said the industry was in for a boost as a result of the new political landscape. She said: "Anyone who works in public affairs is going to make an awful lot of money if they work in consultancy." Harried into making early predictions, Morris and Burrell called it for a Labour-led coalition while Bates said the Tories would "nudge it" with a minority government. There was surprise among guests when early exit polls suggested a possible Tory majority. This grew into disbelief and even dismay in some quarters as the night wore on and by morning many of the predictions of pollsters and professionals lay in tatters, with the Conservatives on 321 seat at the time of publication and on course for a slim majority of 329, while high-profile scalps included those of Ed Balls, Vince Cable and Danny Alexander – not to mention the expected resignation of Miliband as party leader later today.